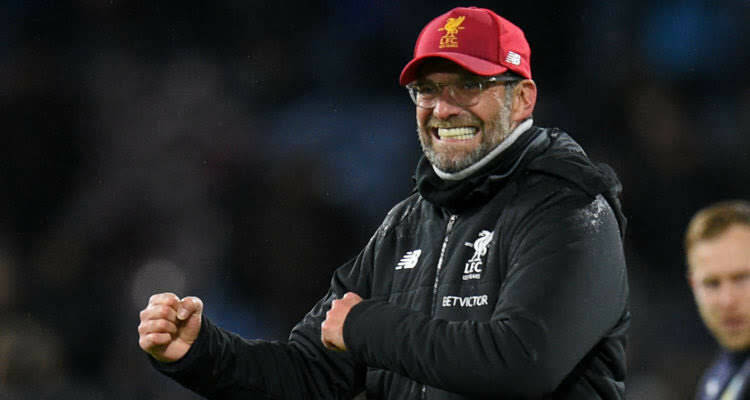 Jurgenn Klopp is one of the best tacticians in football. Evident from his time at Borussia Dortmund and now at Liverpool. Not only is he good at solving problems related to football but also answering questions posed to him by Journalists. In the process dropping some of the most outrageous one-liners. Here some of his best quotes. "Go through the world and find me a team who can finish as champions in the same league as Bayern. If we should finish second this summer, I'll find a truck and drive it through my garden. If nobody will rejoice, I'll do it alone. "We have a bow and arrow and if we aim well, we can hit the target. The problem is that Bayern has a bazooka. The probability that they will hit the target is clearly higher. But then Robin Hood was apparently quite successful." "When Dortmund last won here 19 years ago, most of my players were still being breast-fed." "We will wait for him like a good wife waiting for her husband who is in jail." "I never succeeded in bringing to the field what was going on in my brain. I had the talent for the fifth division, and the mind for the Bundesliga. The result was a career in the second division." "He likes having the ball, playing football, passes. It's like an orchestra. But it's a silent song. I like heavy metal." "Yes, it's true. I underwent a hair transplant. I think the results are really cool, don't you?" "Mkhitaryan fits us like an arse on a bucket. What he offers is exactly what we need." "It's a big honour to talk to Sir Alex. For a manager it's nearly the best thing you can do, to sit there and listen. I needed 10 minutes to understand what he was saying and then it was OK. Maybe he is the greatest ever, the John Lennon of football or something like this." "If I spoke to a player now and he told me: 'If you were playing in the Champions League next year then I would be really interested,' I would put the phone down. That is what I would say to players. It is about pushing the train, not jumping on a running train." "I read in Germany that there are still transfers in the Bundesliga for £5million. You can imagine that happening in England? No chance! Yet it is similar quality." "I'm not a dreamer but I'm a romantic. I love the stories and Anfield is one of the best places in the football world. Now I'm here. I'm a lucky guy and really looking forward to the first match." "The pundits, former players most of them, forgot completely how it felt when they got criticised. Especially the Neville brothers; the one who was the manager he obviously should know that too much criticism never helps. "But he is not interested in helping a Liverpool player, I can imagine. He showed he struggled with the job to judge players so why do we let him talk about players on television?"